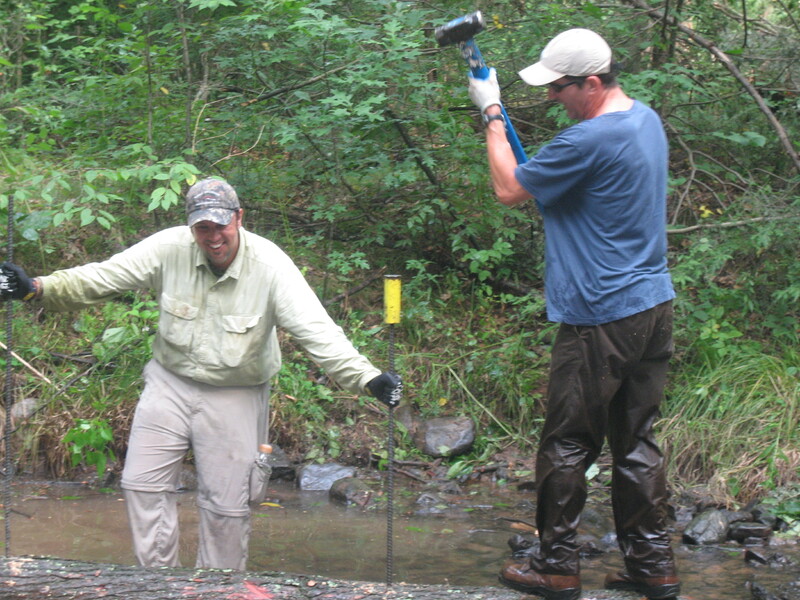 The mainstem of Manada Creek originates in Lebanon County within the boundaries of Fort Indiantown Gap and flows through Gap property to a point where the upper end of the Delayed Harvest Artificial Lures Only (DHALO) section begins. 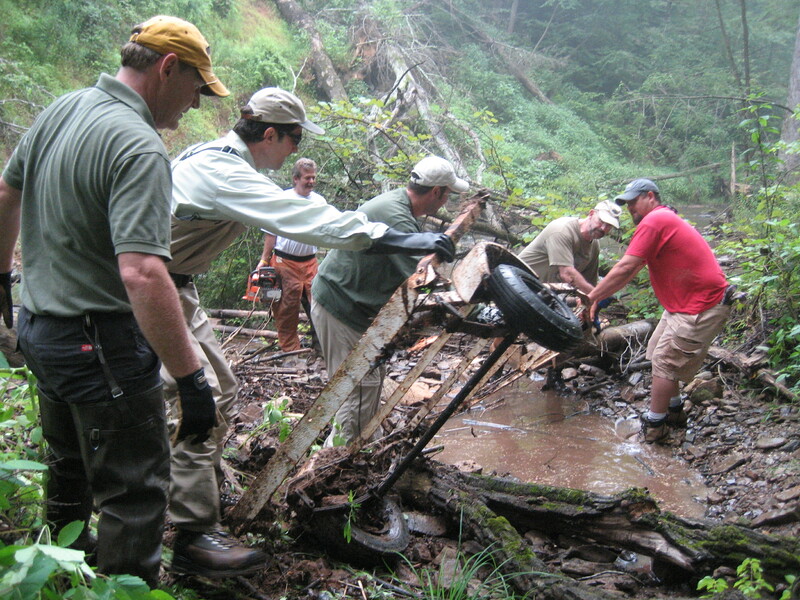 At various times in past years, earth disturbances from logging and tracked military vehicle exercises at the Gap have contributed excessive sediment loads to this popular stream which is known to support a wild, reproducing brown trout population. 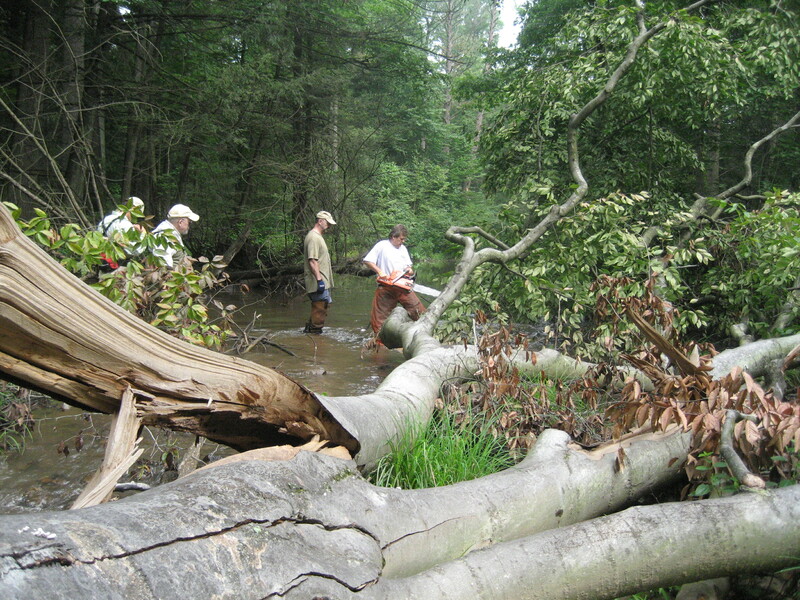 The character of the stream has also been substantially altered in recent years during the extreme streamflow resulting from a number of tropical storm events, the latest being hurricanes Irene and Lee in 2011, and Sandy in 2012. 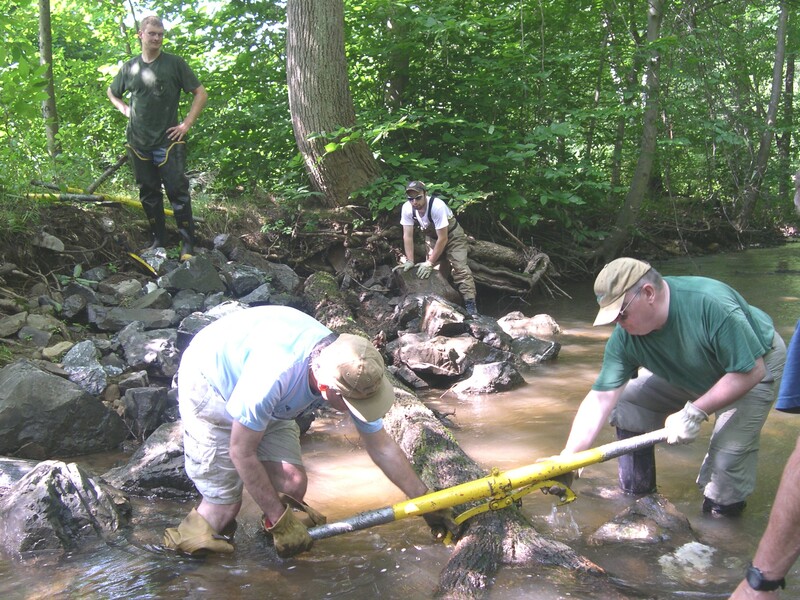 Since 2004, the chapter has been involved each year with projects designed to reinforce streambanks and improve habitat on the popular DHALO section of Manada Creek, and additional projects are planned for 2014 and beyond. 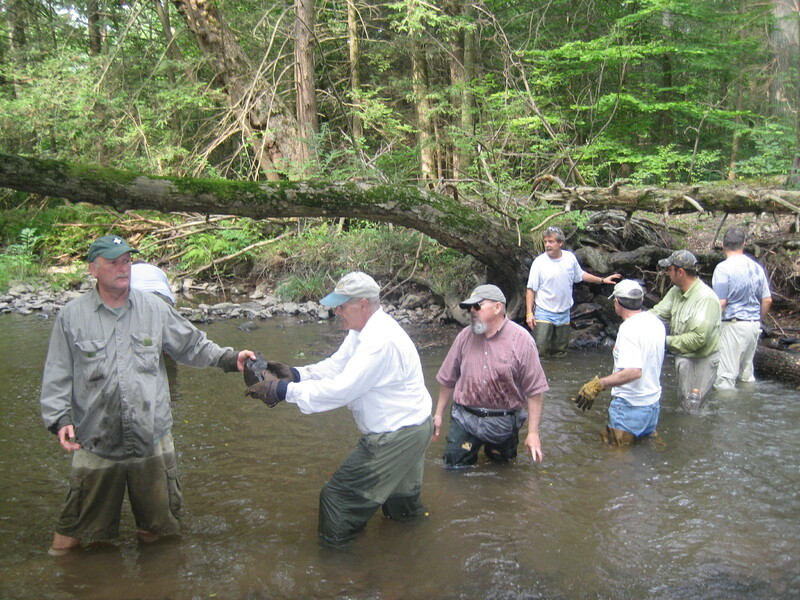 Funding for these projects has been provided through PFBC’s Adopt-a-Stream program. See the pictures below of work that has been completed over the past several years. 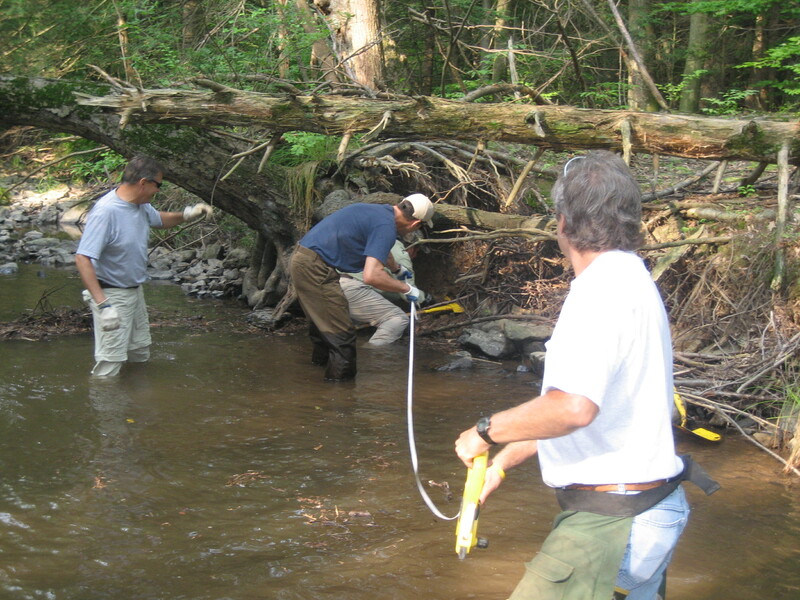 In 2013, the Dauphin County Conservation District was awarded a Coldwater Heritage Partnership grant to conduct a water quality assessment and draft a Coldwater Conservation Plan for Manada Creek. 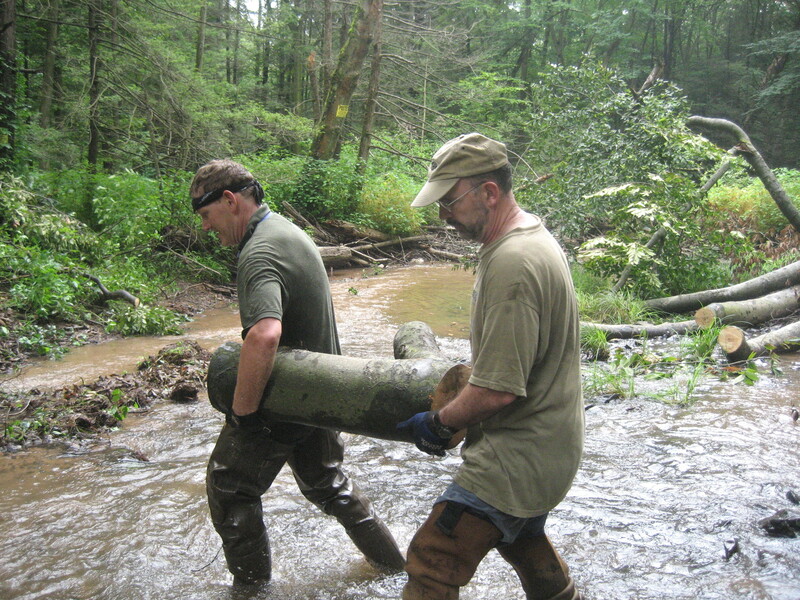 Plans call for focusing on the upper, coldwater section of the watershed which begins on Ft. Indiantown Gap property in Lebanon County and extends downstream to Furnace Road in Dauphin County. 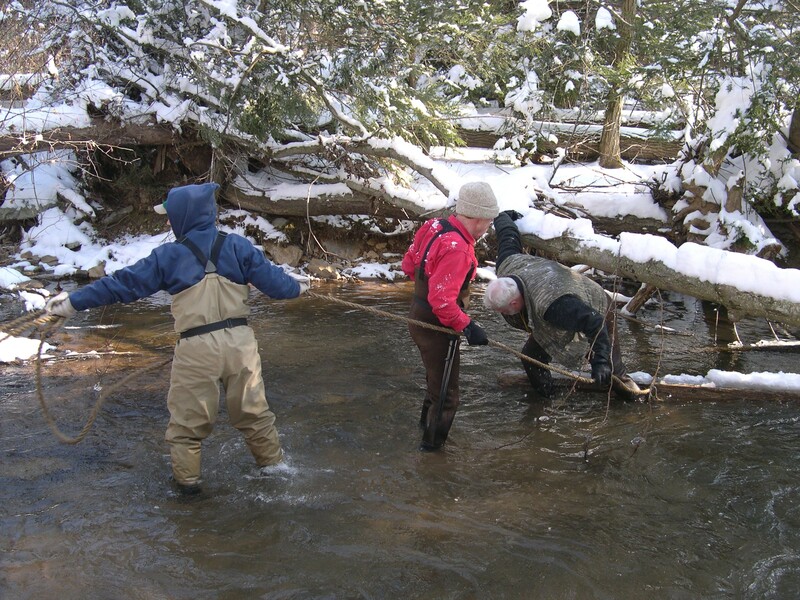 The long-term goals of this study are the reduction of non-point pollution sources and improvement in habitat to benefit the stream’s wild trout population. Click here to see the Conservation Plan.